Twitch has announced that big changes are coming to its video on demand service, including better service for international viewers, easier YouTube exports and increased length of default rolling storage for past broadcasts. The downside to all these improvements is that the "save forever" option is being eliminated, but don't worry: Nobody was using it anyway. To clarify, it's not that broadcasters don't use the "save forever" option, it's that viewers just don't watch any of the stuff they save. Twitch said that 84 percent of a broadcast's total views happen with the first 14 days; furthermore, 80 percent of its storage capacity is taken up by broadcasts that are never watched, resulting in "multiple petabytes for video that no one has ever viewed." On the other side of the coin, highlights earn nine times as many views over their lifetime as past broadcasts. In light of that, Twitch has decided that changes must be made to its VOD system to make it better and easier to use. 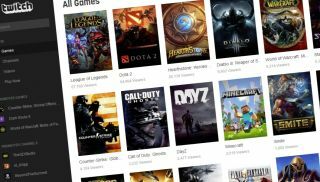 "Going forward, we're increasing default rolling storage for past broadcasts from 3 days to a maximum of 14 days, for everyone who has opted in (i.e., enabled Archive Broadcasts)," Twitch CEO Emmett Shear wrote. "For Turbo subscribers and members of the Twitch Partner Program, that storage is increased to a maximum of 60 days." Those increased defaults come at "considerable cost," especially since Twitch is also promising secure storage of past broadcasts through triple-redundant saving. Because of that, highlights will now be limited to two hours and the "save forever" option has been removed entirely, although Shear emphasized that most users won't be affected. "Given the viewership patterns on past broadcasts, we believe the tradeoff is better for everyone," he wrote. "To be clear: this is not a move to economize on space. Due to the triple redundancy, it will actually require us to substantially increase our total amount of storage." Existing past broadcasts will be left alone for three weeks, after which Twitch will begin deleting them from its servers. To make life easier for people who want to keep them around, it's released a new video manager that will simplify the process of creating highlights and exporting broadcasts to YouTube. The Twitch blog has all the details, and there will also be an AMA on Reddit at 10:30 am PST on August 7.